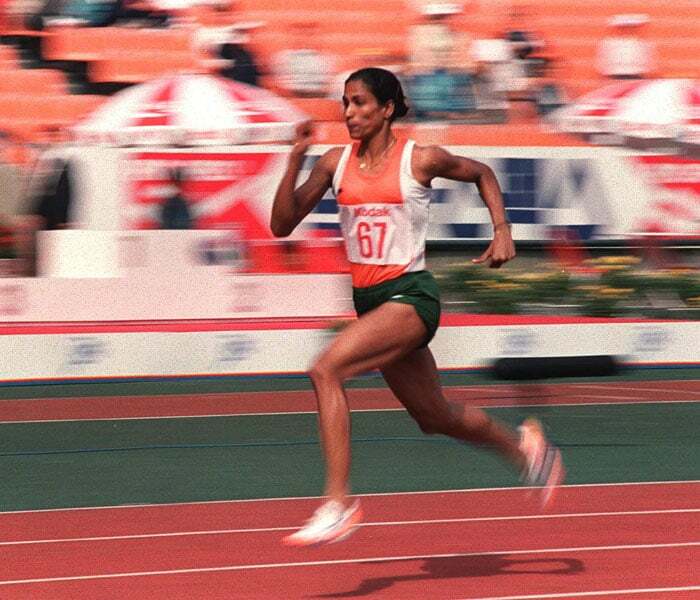 Pilavullakandi Thekkeparambil Usha is a former Indian Track and Field athlete. She was born on 27 June 1964 and was active on the tracks for 24 years from 1976 to 2000. P.T Usha was noticed by O. M. Nambiar, an athletics coach, at a sports prize-distribution ceremony. Her walking style and lean shape made Nambiar believe that she can become an excellent sprinter. Nambiar was not wrong as she started training under him and won five medals at the inter-state meet for juniors, in Kollam in 1978, with four gold medals in 100 m, 200 m, 60 m hurdles and high jump, silver in long jump and bronze in 4 x 100 m relay. At Asian Game and Asian Championships she kept on winning medals and creating new and breaking her own records. She played brilliantly at the New Delhi inter-state meet and Mumbai Open National Championships. At the Olympics trials in Delhi, she beat Asian Champion M. D. Valsamma to qualify for the Games. At another pre-Olympics trial, she clocked 55.7 seconds beating American top sprinter Judi Brown. At the Olympic Games in 1984, she clocked 56.81 s in the heats and 55.54 s in the semi-final, setting a new Commonwealth record as she entered the final. Luck did not favour her as she lost a podium finish by just 1/100th of a second and came fourth. 1985 saw her great success as she won 5 gold and a bronze at the Asian track and field championship in Jakarta, Indonesia. At the Seoul Asian Games, Usha won gold medals in 200m, 400m, 400m hurdles and 4x400m relay categories. At the Beijing Asian Games, she won 3 silver medals for India. 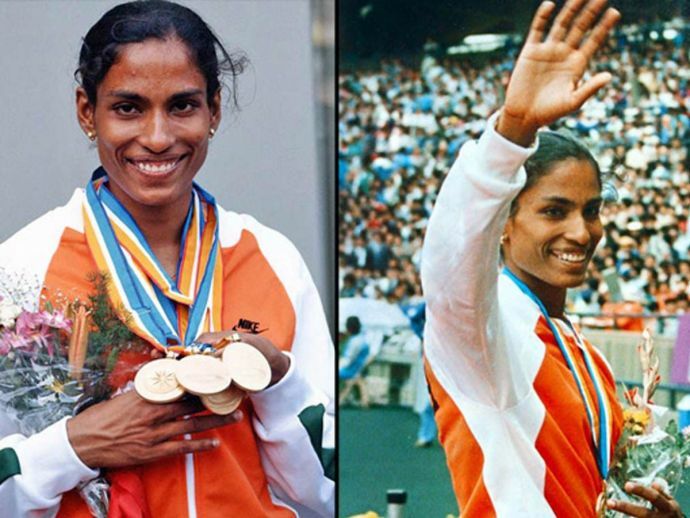 She represented India in 4 x 100 metres relay together with Rachita Mistry, E. B. Shyla, and Saraswati Saha at the 1998 Asian Championships in Athletics where her team won the gold medal on way to setting the current national record of 44.43 s.
With a great career and huge amount of success, Usha has won 101 International Medals. P.T Usha currently runs the ‘Usha school of Athletics’ in Kerala where she trains young athletes. One of her students is Tintu Lukka, who qualified for the women’s semi-final 800m at the London 2012 Olympics. For her inspirational career in athletics she was awarded the Padma Shri Award in 1985 and Arjuna Award also in 1985. She is a motivation to all young girls who wish to pursue a career in sports. With very less amenities available during her time, she overcame all the problems and became India’s most successful sprinter. She is regarded as the Golden Girl and also is known as Payyoli Express. If you see the smile on her face you’ll see satisfaction and down to earth attitude which is the most important ornament a person needs.